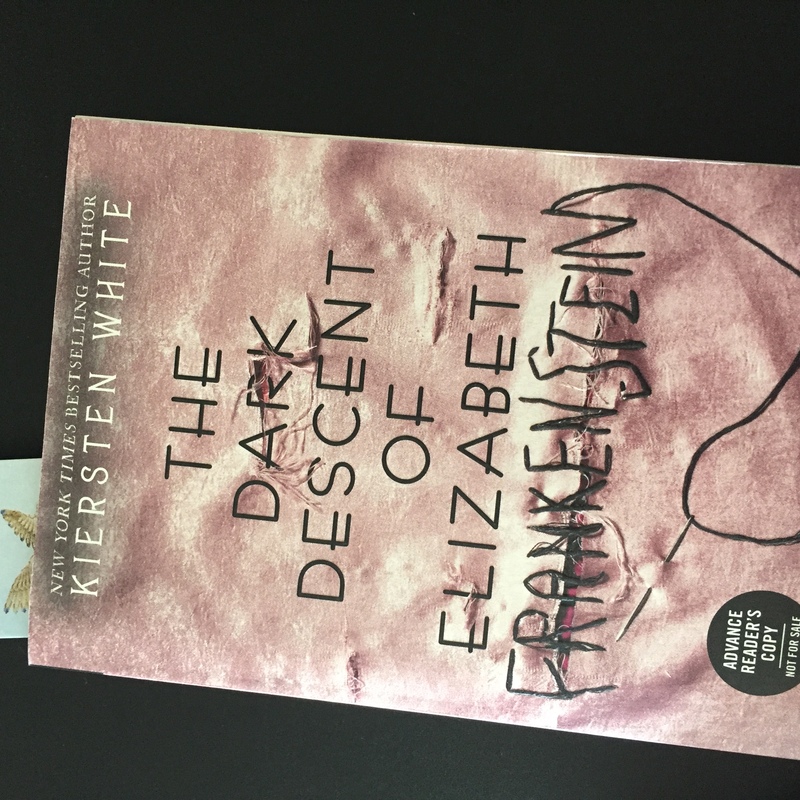 It has been two hundred years since an eighteen-year old Mary Shelley gave life to one of the most haunting novels of all time and the first true work of science fiction, so Kiersten White’s retelling of ‘Frankenstein’ couldn’t come at a more perfect time. To think that the original book was written when a young girl accepted the challenge of writing a ‘ghost story’, and she originally didn’t lay claim to her own work. Kiersten White has chosen to write ‘Dark Descent’ as a retelling from Elizabeth Lavenza’s perspective, a feminist retelling if there possibly can be one, set in a time when women were taught to be objects to be acquired. In Shelley’s story, Elizabeth Lavenza (later to become Frankenstein) is a ‘gift’ given to Victor Frankenstein, a socially awkward child, and she is taken in by the affluent Frankenstein family in Geneva, saving her from her own mother and a life of destitution. Young Elizabeth tries desperately to win the favors of the volatile Victor, and to secure her place in the Frankenstein household, and soon brings in another young girl, Justine, much like herself, saving her from a life similar to her own. 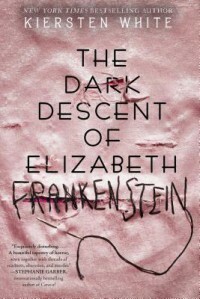 Justine Moritz is brought into the home as a governess to the other Frankenstein children, a calling that she is a natural at, and she and Elizabeth become fast friends. Much of this background is given to the reader by way of flashback interludes, as are the times that Elizabeth and Victor spent together back in Geneva before he leaves. ‘Dark Descent’ traces Elizabeth’s and Justine’s footsteps as they travel to Ingolstadt to find Victor - and his friend, Henry - which is where he went to continue ‘his studies’, but recently haven’t heard from. Following clues that are found in his letters home, they don’t have much to go on, but Elizabeth fears Victor’s obsessions and fevers have overcome him, and only she knows how to help him. She also comes to the realization of what his experiments really signify, and wants to protect them from being discovered. Without going further (maybe there are some people out there who don’t know the Frankenstein tale), what I will say is that this is a captivating, dark, and tragic story; times were bleak for many, and even more dismal for women, and this is made painfully clear in this retelling. White has made sure to paint a vivid picture of the ugly prospects that women had in the times of Elizabeth Frankenstein: the choices she mulls over in her head constantly are framed by how society judged women’s place in society and expected them to behave. None of that was science-fiction, and it provides a fascinating historical perspective, and leading questions into feminism. It’s not by coincidence that Shelley herself was the daughter of radical social philosophers, with her mother, Mary Wollstonecraft, being a writer of one of the most important founding works on family structure and women’s education in the eighteenth-century. *It’s worth noting too, that the backstory and tumultuous early life of Elizabeth mirrors that of Mary Shelley (brought up by foster parents, suffered a lot of losses in her life). I find this fascinating, and feel that this permeates the writing of the original novel, and White tries to reflect this shadowing of tumultuousness, particularly in the flashbacks. Initially I found the book slow to get into, but I later likened it to the slow discoveries that Elizabeth was making, and how the travel at the time must have felt, and I realized that this is the type of novel that I didn’t need to rush through after all. That said, at about half way, the pace picked up considerably and I didn’t want to put it down. Once the ‘monster’ comes into the story, everything seems to happen almost too quickly, and I had a lot of overwhelming emotions in the second half of the book that made it a weightier read as it went on, descending further into grief and desperation. The title is incredibly apt in that respect. I also especially love that the tone and prose feel in keeping with the period; Kiersten did an excellent job with this. 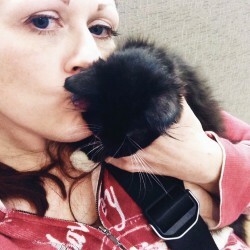 Few works of fiction can garner the status of crossing so many genres (horror, romance, sci-fi, literary fiction), have affected pop culture and so many types of media, for so many generations, and with one mention of the title, conjure up so vivid images and visceral reactions to its central story. Kiersten White has captured those images and the emotions effectively inside her version, without the cartoonish depiction of the modern monster, returning him to Shelley’s imagining. Upon reading, there is a sense that Elizabeth and the monster have much in common, and the misunderstanding from the world around them is palpable. There is a distinct uneasiness at the end though, and much like the end of the ‘Frankenstein’, and even ‘Dracula’, you’re left with the feeling that things are unfinished, and that the myth will continue. It’s a feeling I relish. If you have a taste for dark, gothic, or classic fiction, give this one a read; it’s also a fabulous pick especially for lovers of classic horror and science-fiction. Thank you, Mary Shelley! *Kudos as always to Regina Flath for her brilliant design of the cover. Stunning.